3 Where is Mauritius and how to get there? 4 What is the best time to visit Mauritius? 5 So now what is the best place to stay in Mauritius? 5.1 Hotels in the north of Mauritius, our favourite so far. 6 What to bring on a holiday to Mauritius? 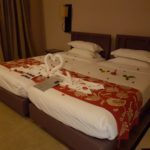 Deciding what is the best place to stay in Mauritius, you will first need to decide in what is the best area to stay in Mauritius for you. Where to stay in Mauritius will depend on what you prefer. 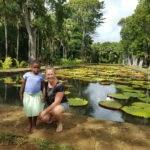 I didn’t mind a 1 hour airport transfer up north but my friend wanted to stay closer to the airport to avoid this long transfer so her best place to stay in Mauritius was in the south eastern part. BOOK YOUR KLM FLIGHT TO MAURITIUS NOW BY CLICKING THIS LINK. 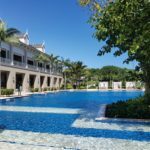 When I was planning our trip to Mauritius and was trying to find out what are the best areas to stay in Mauritius, I asked a friend who had travelled there on many business trips and who has visited many different areas and hotels in Mauritius. I figured that he would know the best places to stay in Mauritius. He told me a lot about the different seasons and the different wind directions, I honestly found it all a little bit too overwhelming to establish where to stay in Mauritius decided to not really worry about the wind direction. 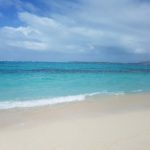 If you want to get an idea of how beautiful the beaches are in Mauritius, have a look at our pictures HERE. The island is pretty much divided in 5 areas of which 4 cater for tourists because there you can enjoy a luxury holiday to Mauritius at beautiful beach resorts. Not many tourists will decide to stay in the central part of the island away from the beaches. The best place to stay in Mauritius is certainly at the beach and there are SO many beach resorts in Mauritius. It will be hard to choose. To read about our 1 week experience in a beach resort, click HERE. After our one week beach resort we explored the beautiful Mauritius tourist attractions. Read about it HERE. 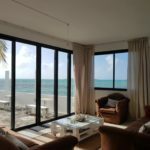 We all travel in different ways so what might be the best place to stay in Mauritius for me is maybe not at all what you are looking for: If you’re travelling to Mauritius on a tight budget you will look for best deals. If you’re looking for a luxurious Mauritius holiday, you will want THE most luxurious hotel, see below. Then there are very family friendly hotels on Mauritius as well as couples only hotels. 1 thing is for sure: the best hotel to stay in Mauritius is different for everyone. Luckily, Mauritius offers EVERYTHING from self-catering to 5 star deluxe. We hope to help you a bit with this post. Did you know Mauritius was voted as top 10 destination to visit in 2018 by Lonely Planet? Where is Mauritius and how to get there? Mauritius is situated in the Indian Ocean and lies east of Madagascar and the south-east African coast. The closest island is the French Island of Reunion. Travelling to Mauritius from Europe you will be able to find flights with BA, KLM, Airfrance and Lufthansa, via Dubai with Emirates. The average flight time from Amsterdam to Mauritius is 11 hours and 45 minutes. The total distance is 9.559 km and you will fly to the only international airport on the island which is situated about 50 km from Port Louis, the capital of Mauritius. Air France offers flights from London via Paris to Mauritius every week. Upon arrival you’re instantly connected to the free WiFi that the airport offers which I thought was pretty cool. Book your flights to Mauritius with KLM HERE. From South Africa there are flights with Air Mauritius from Durban, Johannesburg and Cape Town. Mauritius is situated in the southern hemisphere. Mauritius enjoys a tropical climate with nice temperatures year round. The winter months are July and August which are usually slightly cooler with some rains in the afternoon. We enjoyed our time in August in Mauritius as it was less humid than the Summer months from December to April. The winter months July and August brings the trade winds to the east and southern coasts of Mauritius. We travel in August and stayed mainly in the north-western part and didn’t experience much wind there during that time of the year. The trade winds slow down again in September. December is the hottest month with average temperatures of 26° C.
So now what is the best place to stay in Mauritius? We stayed on the north-west coast of Mauritius with beaches like Trou aux Biches and Pointe Aux Canonniers. This area was fantastic because it was all shallow and peaceful water which made it wonderful for Rosie to splash around. 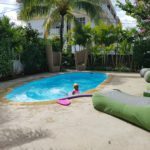 So I would say this is the best area to stay in Mauritius for families with small children. Visiting Le Morne on the south west coast of Mauritius, we discovered that this area is the best area in Mauritius for kite surfing with over 300 days per year of wind. The spot is world renowned and favourite amongst many wind surfers. The Hotel St. Regis, Le Morne even offers special kite surfing packages to make your stay in Mauritius superb. See below. The last few days we stayed near Blue Bay on the south-east coast which boasts its own protected marine reserve. We enjoyed the beautiful public beach for an afternoon. It is a perfect spot to experience snorkeling and scuba diving in Mauritius. Blue Bay is just outside the historical town of Mahebourg where with a wonderful airbnb family. Hotels in the north of Mauritius, our favourite so far. We had the pleasure of spending 1 week in Grande Baie at the Club Med La Pointe Aux Canonniers. It must be one of the best resorts in Mauritius for families. I stayed there with my 5 year old daughter and we had the most amazing time ever in August 2017. Club Med La Pointe Aux Canonniers has been renovated since then so it most probably is now even more beautiful and stunning. The north is one of the best areas to stay in Mauritius because of several reasons. First of all The Club Med is located along a long beach which allows for beautiful long beach walks which is not possible everywhere. So besides being located at a top beach in Mauritius, the hotel offers anything you can imagine to make life wonderful and easy going. The kids club is out of this world and my daughter had a blast. 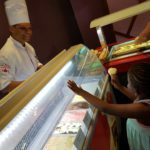 Check out more pictures HERE to just get a small peak of our wonderful all inclusive Mauritius holiday. We spend a week in the resort but I would suggest 10 days. 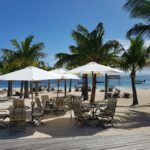 The reason Club Med was one of the best hotels in Mauritius for me is that I could REALLY relax and at the same time I was rest assured that Rosie REALLY had a good time as well. When I asked families abput where to stay in Mauritius, Club Med came up a few times so I’m glad I went with that advice. I didn’t need to make any decisions with regards to what to do, what to cook, where to go and who to see. 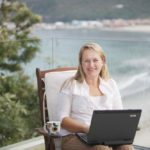 Every day there were plenty of activities to choose from but most days I just choose to relax, take a nice walk along the beach and I even read 2 books in one week! Rosie enjoyed the kids club a couple of days which had the extra bonus that it was all in French so she could practice here language skills before going back to school. The buffets never seemed to close and the choice of dishes was plenty so we usually took a lot of time to try as much as possible. Yes we are girls with a GOOD appetite. I enjoyed all the fresh fish each day and they prepared a lot of ceviche style starter dishes which is my absolute favorite. Rosie enjoyed the pasta and ice cream stations. Then there would be a mid-morning snack buffet, a mid-afternoon snack and dinner was kicked off with sumptuous Canapés which in normal life would have been a meal on its own. The 2nd week we rented a car and we stayed in a small guesthouse style hotel, off the beach but with a sparkling swimming pool so we could relax by the pool after sightseeing. 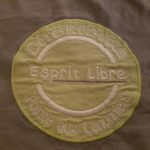 It was called Esprit Libre. This is one of the 3 star hotels on the island with an excellent restaurant on the premises. The rooms were very clean and the staff was super nice. 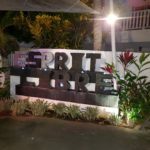 We loved staying at Esprit Libre with well appointed rooms that were cleaned daily, the pool that we seemed to have for our selves and the exceptional food at night. Extra bonus is that a delicious French boulangerie is a short walk away. We enjoyed our breakfasts there. Find the BEST car rental deals HERE! Whenever I visit a new country or city, I ALWAYS include some site inspections. So a visit to one of the 5 star hotels in Mauritius in the south was on my list. I had made an appointment to visit one of the top hotels in Mauritius, The St. Regis Le Morne. Book it by clicking the link. It was absolutely breathtaking. Although doing site inspections with a 5 year old in tow, is not ideal, the sales manager was very friendly and gave us all his time. 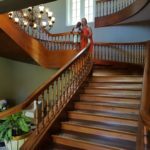 He took us on a tour of this stunning property which is known to be the most luxurious hotel in Mauritius. Rosie sighed: Mommy, I want to stay here for a 100 nights. Believe me, me too! The St Regis Staircase is a signature element of every single St Regis Hotel around the world. Rosie and I felt really ‘grand’ walking down this impressive staircase. The hotels has the most amazing spa facilities I’ve ever seen, the spa suites. Just have a look at the pictures below and don’t tell me that you want to move in here and have spa treatments for the rest of the day. Are you ready to book this amazing hotel? When I organised the site inspection, I didn’t realize it was Rosie’s birthday. 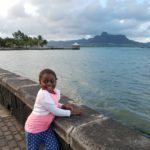 Yes, she turned 5 in Mauritius. I had just mentioned it to Ludovic who was showing us around and was totally blown away by surprise when a small birthday cake was presented to Rosie after lunch. Wow!! What a special surprise in such a beautiful place. 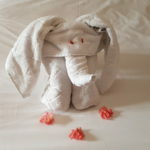 For me these kind of special touches is what makes a place stand out and shows me that the staff and management is totally going out of their way to make your stay memorable. Lunch was enjoyed by their beautiful beach and Ludovic and I chatted a bit more about business and about the hotel. It was my first time in Mauritius and so far I had been very impressed with the island which really is a paradise island. With flights direct from Cape Town to Mauritius, it would be easy for me to add Mauritius to my destinations. It was Ludovic who mentioned that the hotel attracts a lot of kite surfers to Mauritius because Le Morne is one of the best kite surfing places in Mauritius and the world for that matter. In Le Morne you will find the strongest and steadiest winds of Mauritius. Le Morne has the other advantage that is quiet and not flooded with crowds of tourists. After a visit to the beautiful Kids Club (no photos allowed), it was time for Rosie and me again to hop in the car and say goodbye to this beautiful 5 star hotel in Le Morne. The last few days of our amazing holiday in Mauritius we stayed in the east of the island. I wanted to be close to the airport because on our day of departure we would fly out at 9am.. It was a good opportunity to explore Mauritius off the beaten track and I booked an absolute lovely airbnb in Mahebourg, about 20 minutes drive from the airport. The host showed us around upon arrival and both, Conny and Peary, were absolutely wonderful. It was as if Rosie had grandparents for a couple of days. She chatted to them in French and they were showered with her hugs, so cute. If you would like to make airbnb bookings, use this link so we can both earn some credits! I really LOVE the platform. 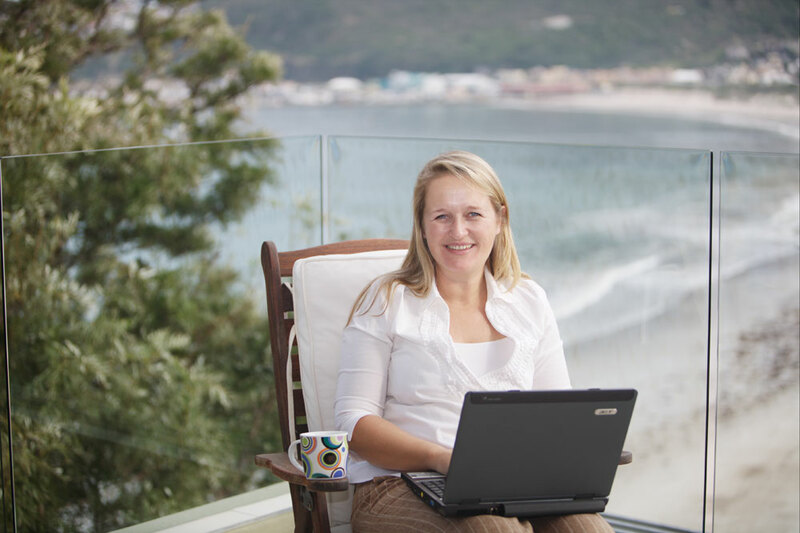 I’ve been a host for my spare room in Cape Town and I’ve made bookings myself whenever we were travelling. We’ve met fantastic people through Airbnb and even went on a holiday once with one of our airbnb guests in Cape Town. They have a beautiful seafront house in walking distance of a few nice local restaurants. In the morning you will hear the fishermen go out. The home is spacious and beautiful and we shared it with a few couples. I loved our spacious room with a separate bed for Rosie and an amazing shower. Coming from drought ridden Cape Town it was such a treat to take long showers. I almost felt guilty. 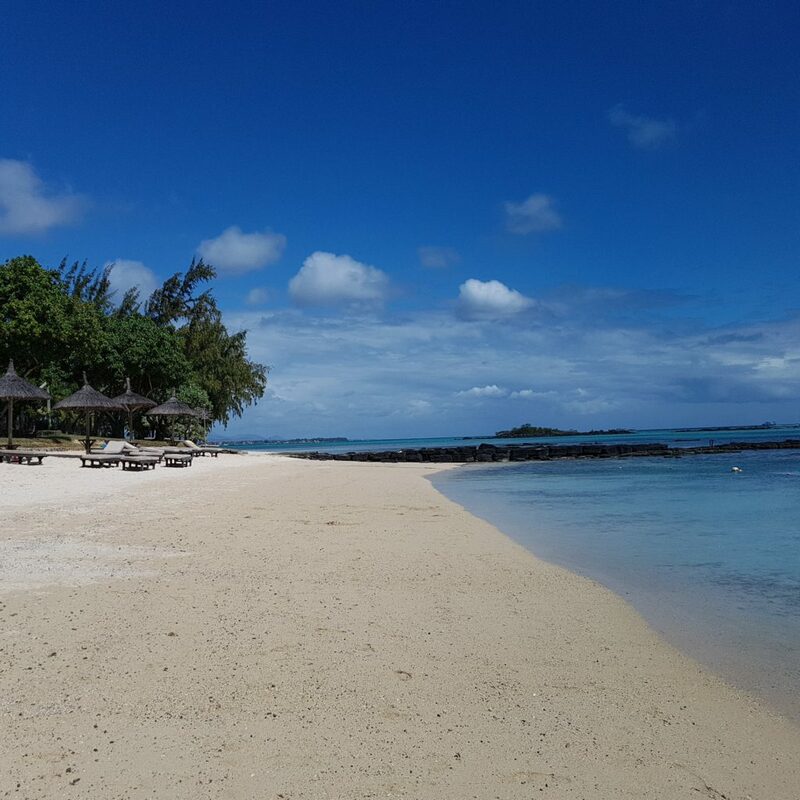 One of the most beautiful public beach in Mauritius is situated about 10 minutes drive from Seafever, Blue Bay Beach. It is easy accessible, it has beautiful clear water and we found a delicious ice cream truck. Holiday feeling complete! It was great to experience a public beach in Mauritius and how safe it was. Another way of making your holiday to Mauritius an affordable one. At Seafever breakfast is served at the long tables overlooking the bay. On our last evening we were invited by Conny and Peary for a Mauritian Curry night with the other guests. While chatting to us, Conny showed us how she makes a delicious curry with fresh ingredients from the market. We had a wonderful evening. Find Seafever on the airbnb web site and please send Conny and Peary our regards and big hugs. Rosie and I took a day trip along the east coast to find a hotel for the day where we could relax by the pool and beach. A friend of mine recommended Friday Attitude and I decided to check it out. The drive along the coast was absolutely beautiful and from Mahebourg it took us about 1.5 hrs to get to the hotel. Friday Attiude is one of the cheap hotels in Mauritius without losing attention to detail and friendliness. We were welcomed and given towels and before I knew it, Rosie was in the pool. Although quite windy on that day, the beach was like paradise beach. In case you’re looking for cheap holidays to Mauritius, check out Friday Attitude for their special deals and I’m sure you will have a good time. The hotels offers a kids club for kids from 3 – 12 yrs old from 9 to 4 every day and babysitting services are available at extra cost. Friday Attitude is a great family beach resort in Mauritius and your dream holiday to Mauritius might just become affordable. 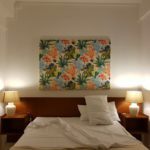 Book this hotel by following the THIS LINK. 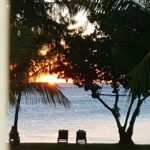 In case you travel Mauritius on a budget, I do suggest that you book Dinner, Bed & Breakfast included. 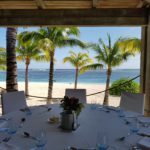 My experience is that eating in restaurants outside of the beach resorts in Mauritius can become very pricey. The local street food is very cheap, roti with chicken less than 1 euro, but what I’ve noticed that it is not often offered close to the hotels in Mauritius. 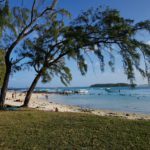 What to bring on a holiday to Mauritius? 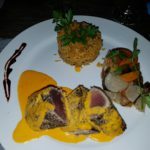 If you’re booking one of the many Mauritius all inclusive resorts, you most probably going to relax a lot and enjoy the amazing food. Besides your bikinis, swim wear, your evening outfits, flip flops, sandals, sun hat and a sarong we suggest that you only bring the following items with you as well. If you’re a reader, stock up your Kindle or other electronic reading device with all your favourite books, or all the books that you still want to read. I was so chuffed that I read 2 books in one week while we were at a resort. Don’t forget to bring your chargers, power banks and what ever you may need to extend you time reading and relaxing by the beach or pool. Or if you still enjoy reading paper Here’s a link to all the current best sellers that you might want to check out. If you would like to read up a bit more on Mauritius before your holiday, you can order the Marco Polo Travel Guide Mauritius here. Just a small note about safety in Mauritius because a few people have asked. I have not felt unsafe or in a difficult situation on Mauritius once during the 2 weeks we spend there. 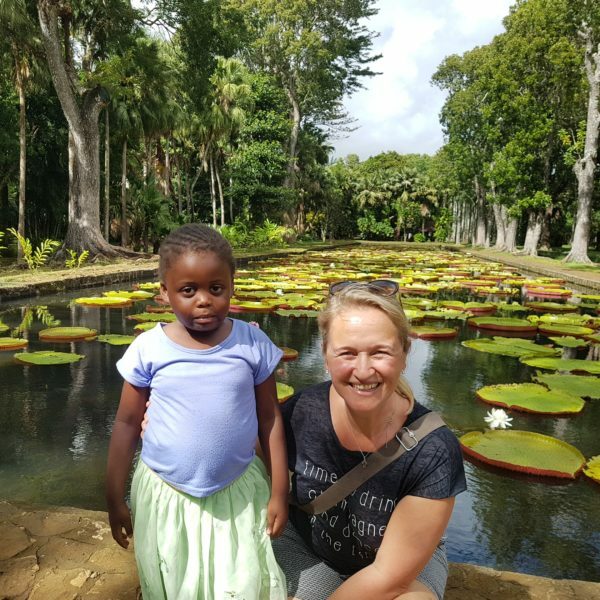 I felt safe driving myself, driving in a taxi, walking the beach, going to restaurants and exploring all the tourist attractions in Mauritius including walking around on the local market in Port Louis, the capital of Mauritius. It was all very friendly and easygoing. Most people speak English which also makes it easy of course. We were never harassed and no one was trying to get us to buy stuff. It was super pleasant. This entry was posted in Blog, Mauritius and tagged Mauritius.